Concast URD 4-5-6-Way Vista Vaults are ideal for use with submersable electrical equipment products like those in the S"C Vista line. Concast's URD Vista concrete vaults support submersible underground eletrical distribution products. Originally designed for S&C's Vista four-way, five-way, or the six-way switchgear; these units can often be used for many other apparatus as well. Vault packages include steel covers, a ladder, switchgear support, installation platforms, pulling eyes, and customizable cable openings. All hardware is galvanized steel, and stainless steel is optional. The first 3 sets of numbers (120-114-76) in the part number represents the outside length, width, and height dimensions of the vault. The 4-5-6-Way Vista Vault is about 23,000 pounds with the covers. 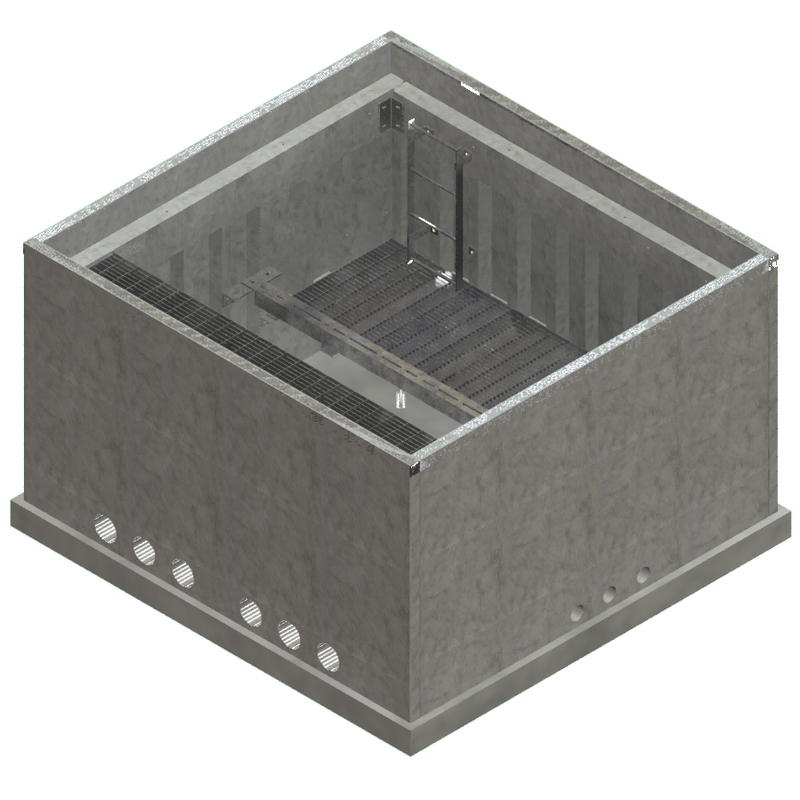 Covers are all galvanized steel, and the spring assisted covers include lockable acces plates.